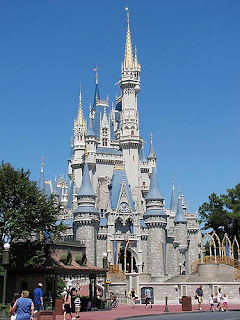 As promised here is the updated list for my top ten favorite attractions at Walt Disney World. I figured if I were to rip ten attractions apart, I better praise ten attractions... after all, Walt Disney World is my favorite vacation destination! As you can see I am cheating. I couldn't bear to bump Jungle Cruise or Laugh Floor off of the list, so they get to share #10. This is definitely a controversial pick. However, I worked on this attraction, so I bribed myself to put it on the list. This is an interactive show located in Tomorrowland at the Magic Kindgom. It never fails to entertain the Tonymation family, and for that I applaud the only Disney attraction to have a touch of Tonymation magic. The one attraction that still reminds me of the Epcot of old is Spaceship Earth. Even after the update, this ride still pushes my nostalgia button. It was a trip to Walt Disney World that inspired me to actually pursue my dream of being an animator, and every time I ride Spaceship Earth I get a little hint of inspiration to form a brighter future for the Tonymation family. Go Epcot! This coaster seems to be the only reason I go to the Animal Kingdom. As far as coasters go, this is a short but fun ride. The fact that the ride is such a quick trip is what pushes it so low on the list. Other than the length, the coaster is a smooth and thrilling adventure. The theming is top notch from start to finish. Here is a classic that lands on my top ten list for showmanship alone. I am not a big fan of all things scary, but Disney did this ride with class and style. The Disneyland counterpart is far more entertaining, but I prefer the Mansion design at DisneyWorld. It's obvious that this attraction is an Imagineer favorite, because it seems to have new updates every time I visit the park. This coaster stars Aerosmith, a familiar band that I grew up with. I'm not a big fan of timestamping a Disney attraction with something like a popular band that will be outgrown and need replacing. But, I still think this coaster is the most exciting in any disney park I have visited. The magnetic propulsion is crazy cool, combine that with gravity defying corkscrews, and loops, and you have a great Disney coaster. I think more impressive surroundings during the ride would help this be a stronger coaster, however. This attraction has always been a staple ride for the Tonymation family, but never would I have anticipated it breaking into the Tonymation Top Ten. Not only did it make the list, but debuts at number two! What an amazing ride this has become. I've been telling my wife that they should have multiple destinations for Star Tours since the first time I rode it back in 1998. Now all I have to do is sit back and wait for my Imagineering check to show up in the mail. This attraction has it all... immersive theming, interesting story, amazing attention to detail, multi-directioinal dark ride, and thrilling drop sequences. The imagineers must have been drinking genuis juice the day they created this ride. My hats off to you gentlemen! Next round of Genius Juice is on me! If you haven't already, be sure to check out my updated Ten Worst Attractions list. Also, check back later to see a brand new list: Tonymation's Top Ten Attractions for Families..